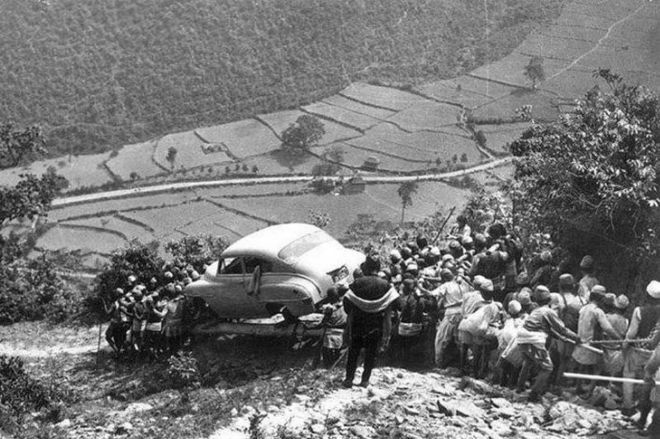 Dozens of men carrying a car down a path accessible to pedestrians only in Nepal in 1951. 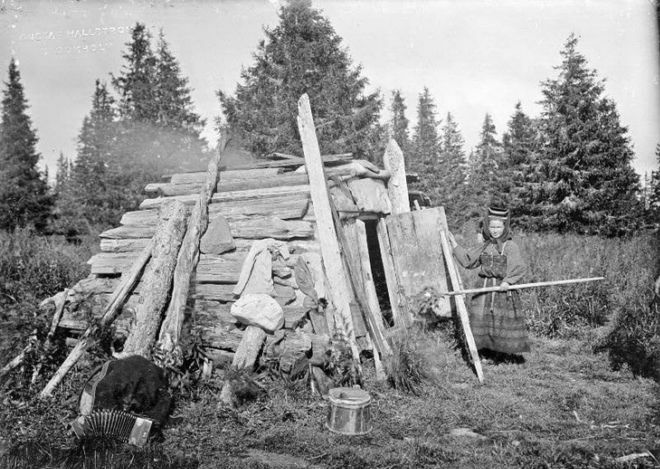 A woman standing beside her home in the Arkhangelsk province of the Russian Empire in 1910. 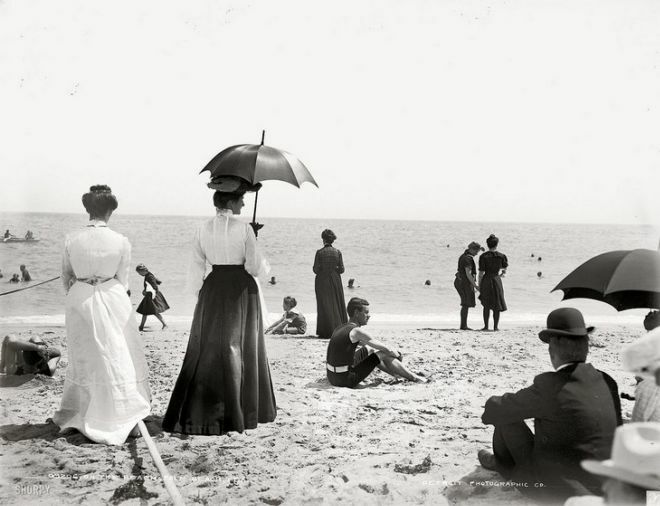 People at a beach in Florida, USA in 1905. 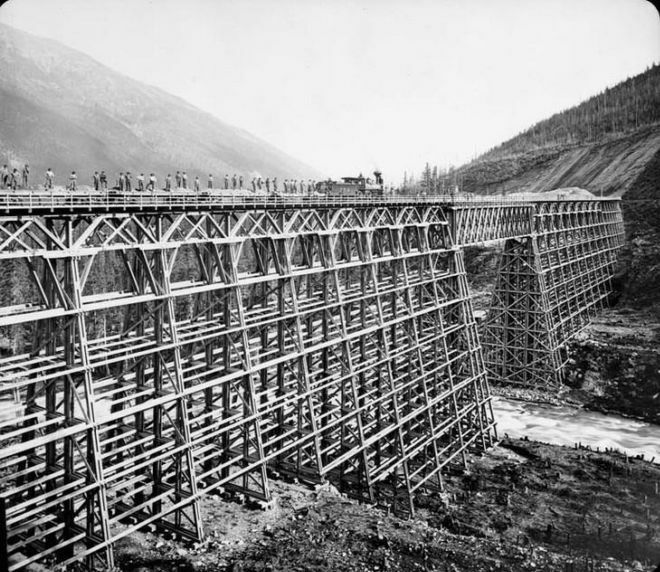 A train from the Canadian Pacific Railway line passes over a new bridge built over the river in the Mount Creek area of British Columbia, Canada in 1890. 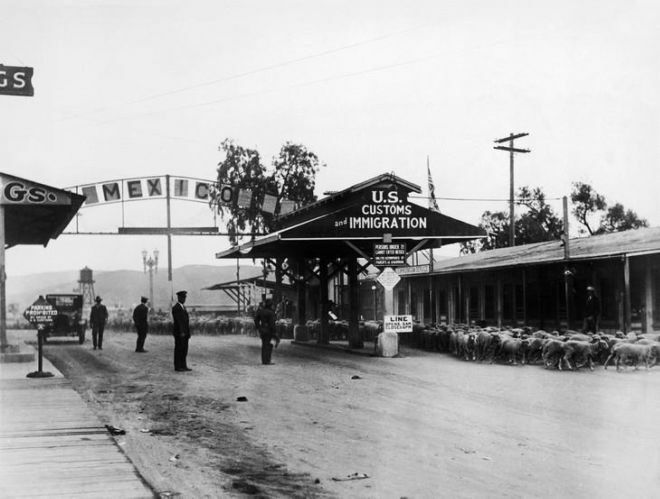 A huge herd of sheep crossing the border between Mexico and the United States in 1930. 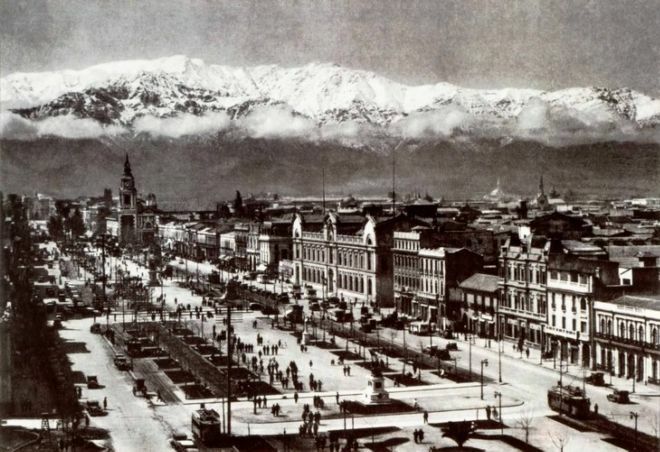 Picture of Santiago de Chile and the Andes Mountains in the background, Chile in 1930.